Q: Do I have to be unable to work at all to receive workers’ compensation benefits? A: No. When you have been hurt on the job and file a workers’ compensation claim, there are two determinations that must be made. First, is your injury temporary or permanent? Second, is your injury partial or total? If you are unable to work at all, but are expected to make a full recovery (temporary partial disability), you will be entitled to benefits until you are cleared to return to work. If your injury prevents you from every working again (permanent total disability), you may be entitled to benefits for the rest of your life. If you have injuries that don’t keep you from working, but from which you’ll never fully recover (permanent partial disability), you may be entitled to an award based on the degree of disability, as determined by the Workers’ Compensation Board. Q: Can I only recover benefits if I am injured in a workplace accident? A: No. While many claims are based on traumatic accidents—slips and falls, dangerous and defective machines, tools or equipment, lifting heavy objects—you can also recover workers’ compensation benefits for other types of injuries, including repetitive stress or motion injuries, occupational illness or disease and even work-induced mental health issues. Q: What types of losses are covered by workers’ compensation? A: In New York, you can seek compensation for lost wages and income resulting from a work injury. Those benefits are calculated based on your wages over the period of time immediately prior to your injury. In addition, you are entitled to coverage for all “reasonable and necessary” medical expenses arising out of your work injury. That includes primary care, hospitalization, surgical procedures, medication and other permitted treatment. Q: Will workers’ compensation pay for vocational rehab? A: Technically, no. You cannot seek assistance from a private vocational rehabilitation provider and be reimbursed or have it paid for through a workers’ compensation claim. However, the New York Workers’ Compensation Board has counselors on staff who can help you find employment, taking into consideration your medical condition, your work experience and any training or education you have received. At Pyrros & Serres, our attorneys bring more than half a century of collective experience to injured workers in Queens and across the New York City metropolitan area. We place a premium on personal service and attention, listening carefully to learn the facts and circumstances of your case, as well as your needs and objectives, so that we can take the right steps to get the outcome you want. 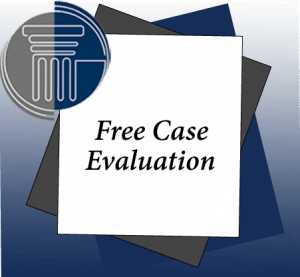 With our hard-earned reputation for obtaining positive results, we get many of our new cases as referrals from doctors, lawyers and satisfied clients.